Lecithin’s roles range from synthesizing good cholesterol to regulating your heart rate. Every cell in your body depends on lecithin for its structure and function. The lecithin at work inside your body is also known by its chemical name, phosphatidylcholine. If you buy lecithin supplements, check the labels because the amount of phosphatidylcholine they contain varies from 20 percent to 90 percent, according to the Linus Pauling institute. Each cell in your body is enclosed in a membrane that forms a structural barrier and regulates cellular functions. The membrane is made with a variety of lipids, but lecithin is a primary component. Lecithin naturally creates a two-layered membrane, which is important because it provides stability and anchors other component parts of the membrane. It can also be turned into other lipids that help carry molecules such as glucose across the membrane. Protein and lecithin work together to build lipoproteins. Lipoproteins surround lipids, like cholesterol, and enclose them in a package that can be carried through your bloodstream. Lecithin must be available in the liver to make very-low-density lipoproteins, or VLDLs, which carry fats into the bloodstream. If you’re low on lecithin, fats may build up in your liver. Your body also uses lecithin to produce high-density lipoproteins, or HDLs, according to the AOCS Lipid Library. HDLs are better known as good cholesterol because they help remove cholesterol from your bloodstream. Your body uses choline, an essential nutrient, to synthesize lecithin. But the process also works in reverse, so lecithin can be metabolized to release choline as needed. You need choline to produce the neurotransmitter acetylcholine, a chemical involved in learning and memory. Acetylcholine also supports nerve function outside your brain, and it controls your heart rate, digestion and bladder function, according to the Lundbeck Institute. Choline is considered an essential nutrient because it must come through your diet. However, the choline in food exists in the form of phosphatidylcholine, or lecithin. As a result, high-choline foods are also typically high in lecithin. Beef liver is one of the best sources of lecithin, but it contains an unhealthy amount of cholesterol. Eggs are good sources, and most healthy people can eat up to one egg daily without increasing the risk of heart disease, reports the Harvard School of Public Health. Other sources include cod, shrimp, salmon, beef, Brussels sprouts and broccoli. 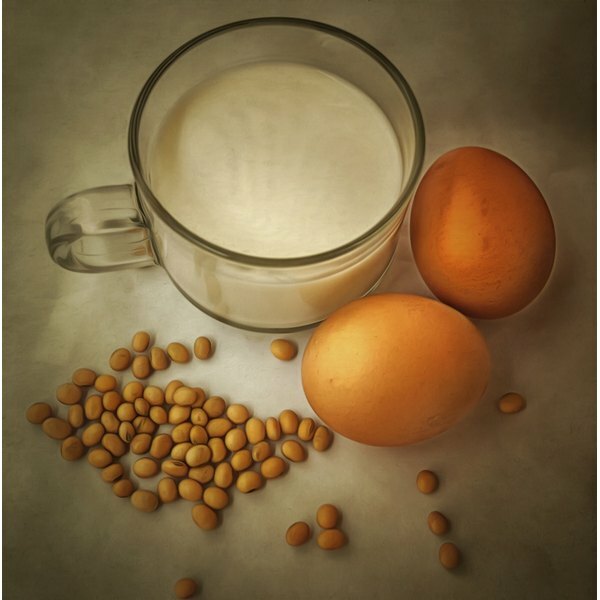 You'll also get lecithin from wheat germ, milk, peanut butter, soybeans and soy products. How Are Lipids Stored in the Body?